Wait, don’t you mean Shepherd’s Pie? Technically that’s the name for the meat-filled version. 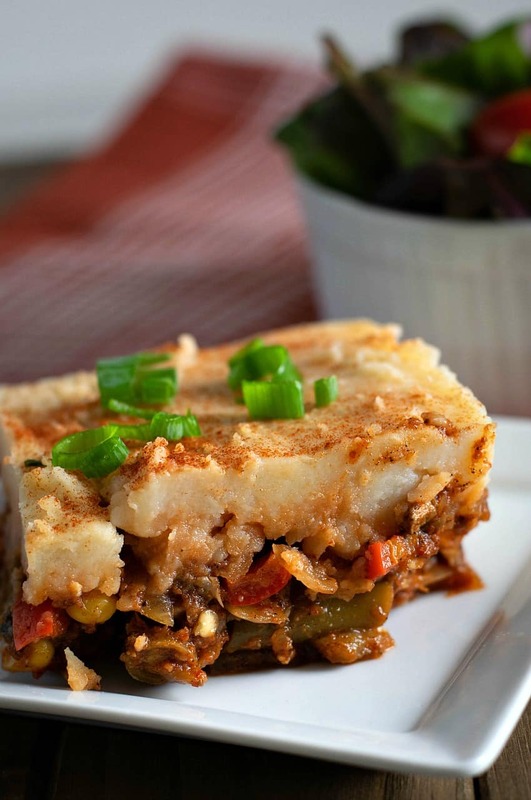 The vegetarian or vegan version is called a Shepherdess Pie and that’s what Brand New Vegan is all about! In fact, a Shepherd’s Pie is technically supposed to be filled with lamb. 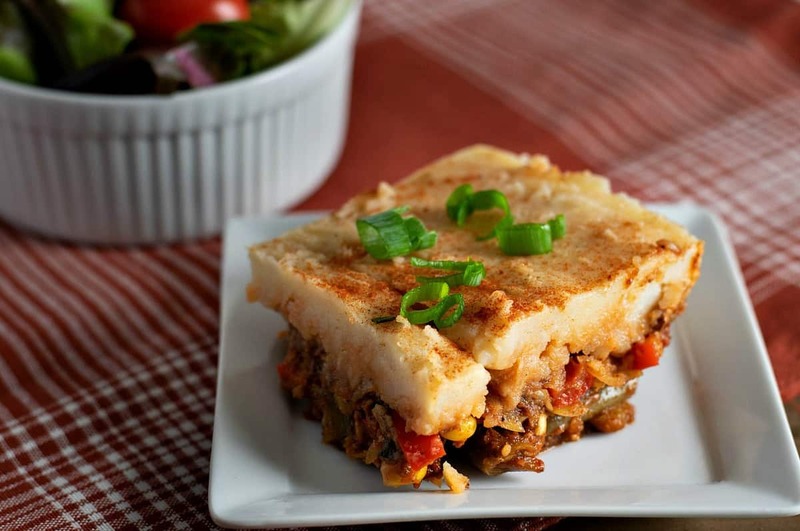 The beef or hamburger version many of us are used to is actually called a Cottage Pie. And if you top the potato crust with breadcrumbs it turns your dish into a “Cumberland pie”. Interesting? Probably not. Just get to the recipe already! I know, I know. but hey, I’m a history buff too so, you’ll just have to bear with me. The term “cottage pie” was first used around 1791, when the potato was starting to be regarded as an affordable, edible crop in England and Ireland. And since many of the peasants who grew those potatoes back then lived in cottages, that’s more than likely where the name came from. 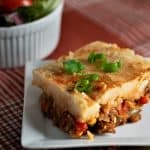 It was an easy way to repurpose the previous night’s leftovers into a warm, filling dish. So there you go. Your history lesson for the day. This recipe may look like a bit of work, but actually with a bit of prepping it’s not too bad. For instance, my Cauliflower Taco meat can be baking in the oven while the potatoes are either boiling on the stove or in the Instant Pot. So let’s start with the Cauliflower Meat and if you need to leave out the walnuts for any reason, that’s perfectly fine. You’ll want one batch of this Cauliflower Taco Meat and when it’s done, just set it aside. Next, let’s start the potatoes. I used about 3 lbs of potatoes (6 or 7 medium sized Russets). Peel and cube the potatoes and either drop them into a pan of cold water to begin boiling or drop them in your Instant Pot liner along with 1 cup of cold water. Cook potatoes until fork tender (15 min or so on the stove, or 5 minutes on Manual in the IP with a QR). When done mash until smooth adding a little veggie broth or unsweetened almond milk as needed. Season with salt and pepper and set aside. Now for the filling. We’re going to saute some diced celery, red bell pepper, and onion until softened. Then we add a bit of minced garlic and stir for about 30 seconds. Now we’re going to add about 1 cup of frozen corn (or corn/pea/carrot medley) and stir well. Next, we add a little can of Chopped Green Chiles (they go well with the southwestern theme of the taco meat), a few tablespoons of Tomato Paste, and some Vegetable Broth. You can add additional spices at this point, but honestly, the taco meat will season this enough. Finally, we stir in our Taco Meat which should be done by now. Stir to mix and then spoon the filling into a 9″ x 13″ glass casserole dish. Smooth it down evenly and then top with the mashed potatoes, again smoothing evenly. Garnish with paprika if desired and bake for 30 minutes in a 350 degree F oven. Celery, Peppers, Onion, Corn, Cauliflower, and Mushrooms in a rich tomatoey stew all topped with creamy mashed potatoes. Yum. 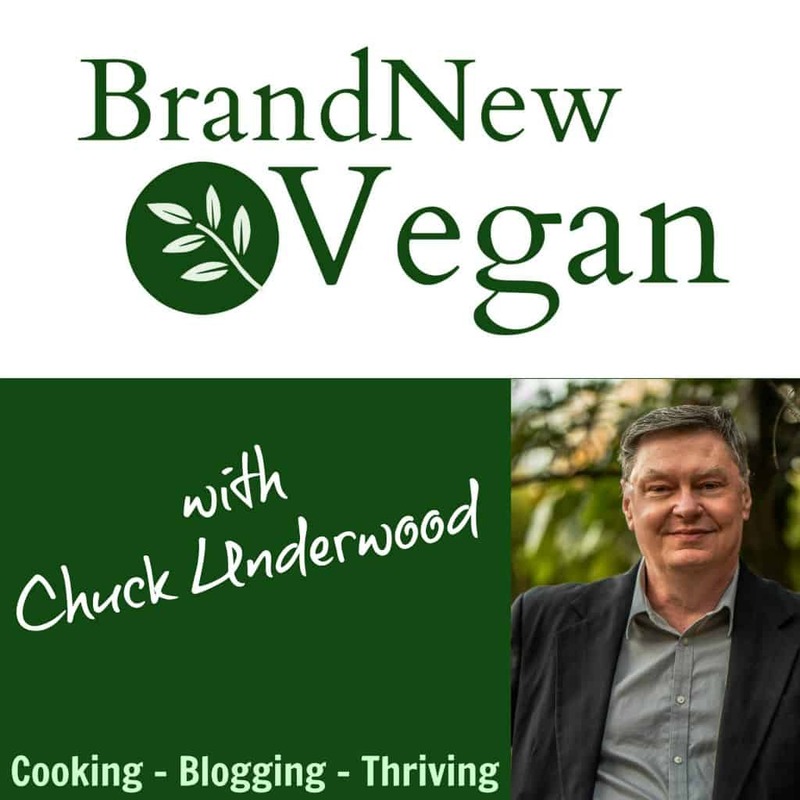 Until next week – keep on cookin’! You mean Shepherd’s Pie? Technically that’s the name for the meat version. 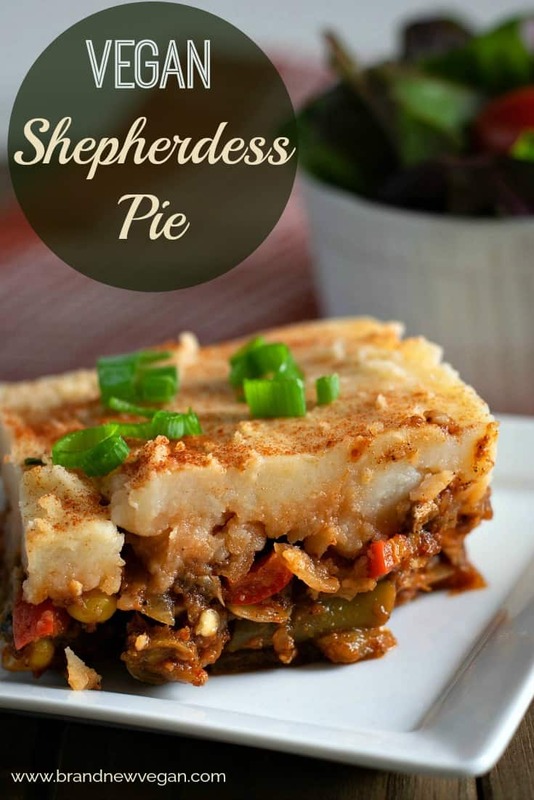 The vegan version is called a Shepherdess Pie and that’s what we’re all about! Peel and cube potatoes and either boil on the stove until fork tender, or cook in the Instant Pot with 1 cup of water for 5 minutes using the Quick Release method afterward. Mash potatoes until creamy adding veg broth or unsweetened almond milk if needed. Season with salt and pepper to taste. Set aside when done. Meanwhile, saute celery, red bell pepper, and onion until softened. Add garlic and stir for 30 seconds. Stir in frozen corn and chiles. Mix well and simmer 2-3 minutes. Spoon the mixture into a 9″ x 13″ glass casserole dish and top with mashed potatoes. Smooth evenly, garnish with paprika if desired, and bake in a 350 degree F oven for 30 minutes. Hi Chuck! Looking for the number of servings for his recipe? I’m guessing a 9 x 13 would feed 8? I know I have to cut it back for us, just wondering how much! Thanks!! Yeah – depending on the size – maybe 8. Wow! This looks like the perfect party dish! Can’t wait to try it. Yum! I have taco crumbles in the freezer. I know what we’re having for Sunday Supper! Thanks Chuck! You mention mushrooms, but I don’t see them in the recipé. They are used to make the Cauliflower Crumbles. Is this recipe compatible with the “Mary’s MINI” diet? I think so, as it’s mostly potatoes. Not sure what the McDougalls would say, but …… sure. Hit with me and friends. Thanks, Chuck. Can I eat this on a Mary’s Mini? Sure – it is mostly potatoes.